I’ve been meaning to enroll in a language course for a few months now. I think learning a new language is not only fun, it also adds to your knowledge about other cultures. And as someone who deals in words everyday, I am always fascinated by how words and phrases evolve in language (yes, sorry, nerd flag flying proudly!). I also figure, learning a new language is a skill and can’t hurt the resume. The thing is though, language courses are expensive and it’s no joke trying to squeeze in several hundred dollars from an already strained budget. Enter the Duolingo app, which I read about in Slate a few days ago (subhead to the article: “Stop Playing Candy Crush and Learn a Language Instead — It’s Just As Much Fun”. OK then, I’m convinced! Read the full article here). Apple named it iPhone app of the year for 2013, and with good reason! I downloaded it a few days ago to test it out and see if I can actually learn Spanish (The app currently teaches Spanish, French, Italian, German, and Portuguese to English speakers, and teaches English to speakers of those languages plus Dutch, Russian, Hungarian, and Turkish, with more on the way). Because I am Filipino, and my native tongue is speckled with Spanish words and phrases (from 300 years of Spanish colonization) and I took 12 units of the language in college, I thought I would have a leg up in really learning it. And so far, it’s been fun! 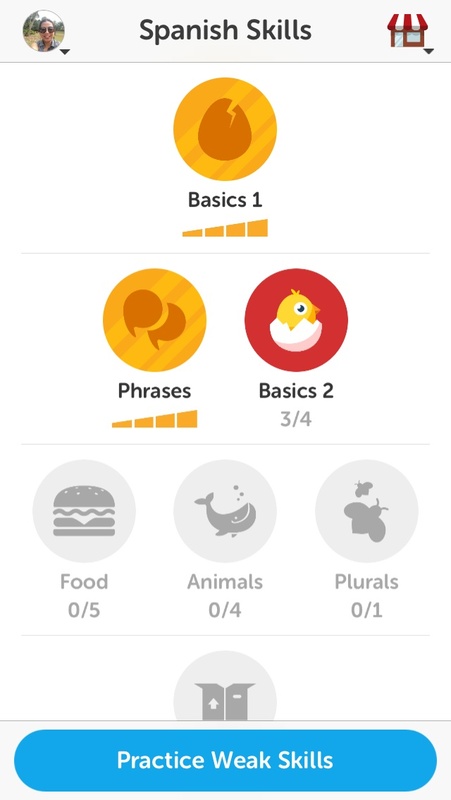 Duolingo uses gamification to get users to learn a language. The app basically transforms language study into a fun game involving points, video game lives (in the app, they’re designated as hearts) and when you finish a level, you get a trumpet fanfare. Fun! Unlike my Spanish classes in college, it doesn’t teach the words by rote memorization of conjugations (flashback to college and Señor Arespacochaga’s class as he tried to instill in us verb conjugations. 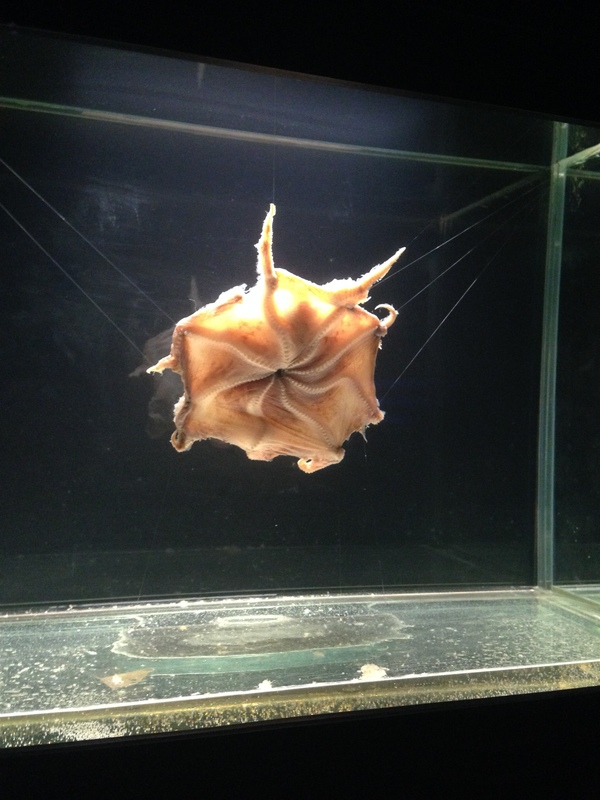 Bebo, bebe/s, bebemos, beben, anyone? ). 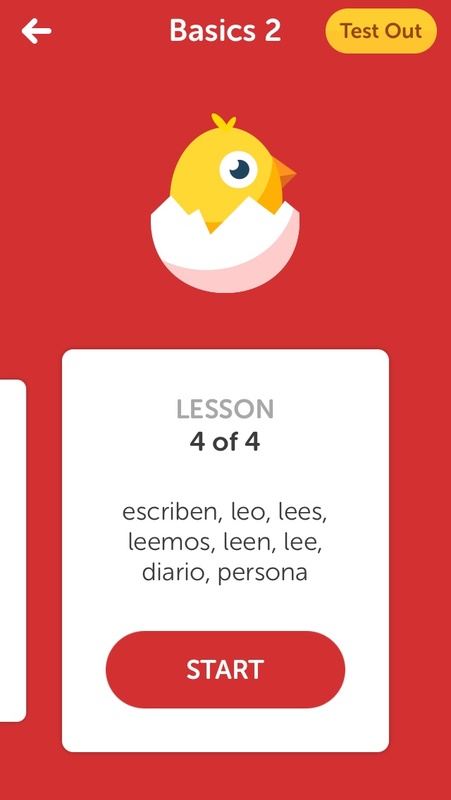 Instead, Duolingo’s teaching style is quick, bite-sized and upbeat — the visuals are bright and cheery too (which definitely helps for me). It won’t explain the concepts and logic behind the grammar. What it does is throw you into the thick of things and lets you start learning. If you can’t cope, don’t worry. You can repeat levels and practice as often as you want to. My only problem with it is that there are portions where I have to habla out loud. But then, those are my insecurities talking and not the app’s fault. According to its co-founder, 34-year old Luis Von Ahn, the app is not designed to help you with phrases for your next trip abroad. What it hopes to do is transform you in the course of a few months into a well-rounded conversationalist. “You won’t sound native,” he says in the Slate article, “and when you’re talking you’ll do a lot of simplifications. You’ll probably mess up the subjunctive form. But you’ll get around. You’ll understand what you hear very well. You’ll be able to read books and watch movies in the language.” Good enough for me. Posted on January 29, 2014 January 29, 2014 Categories Bookish, Geekery, Travel diariesTags Duolingo, iPhone apps, Language lessons, nerd stuff, personal stuff, slate, Spanish 101, Spanish lessons2 Comments on Hablamos Español! Some of these were funny in a book-nerd sort of way, some were clever and some went over my head. 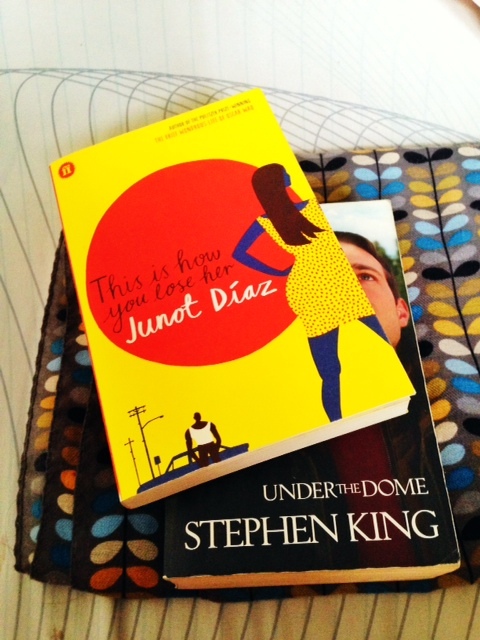 Apparently, I am not enough of a book nerd as I thought… Or maybe I read the wrong kinds of books. Sci-fi author Richard Matheson died yesterday. I wasn’t really aware that I was a fan, until I read his obit here and realized I’ve read (and watched) many of his stuff like: I Am Legend, What Dreams May Come and most memorably, this episode of Twilight Zone. Up to now, every time I look out the window in a plane (and if I get a window seat, I always choose one near the wing), part of me expects to see a creature out there. Shiverrr! There are other Twilight Zone eps that are better than this one, but this one sticks to my brain.